At first glance, ‘Hollow in the Land’ looked boring. Glee’s ‘Dianna Agron’ and actor ‘Shawn Ashmore’ were the only names I recognized. Based on many recommendations from my friends, I decided to watch it, which proved to be an excellent decision. Director Scooter Corkle’s ’Hollow in the Land’ is a hidden gem that deserves more recognition. The story unfolds in an intense and gripping atmosphere framed by a lot of handheld camera shots. The constant camera movement adds even more tension to the story. The dreary colors go perfectly with the evocatively haunting music, with production that was almost in favor of the story itself. The screenplay is very plausible and clever, it helps make the characters in this performance-driven film even more realistic. When it comes to the plot it gets predictable at times, with the main character making bad decisions that rivals ‘Ben Affleck’s’ character in ‘Gone Girl’. What forgives the obviousness of the plot is the constant turns of events, that might leave distracted viewers confused. One of the shortcomings of the film is the limited suspense towards the culmination, which makes it seem a bit bland. 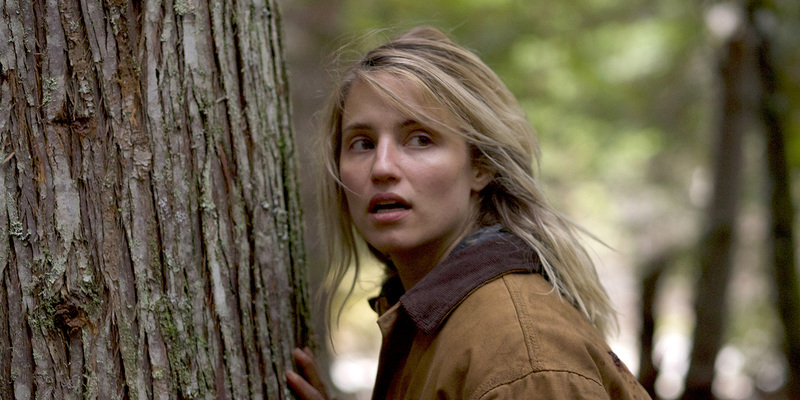 Dianna Agron’s surprisingly strong performance was the highlight of ‘Hollow in the Land’. Overall the cast delivered a robust harmonized performance that elevated the film’s status even more. It’s easy to relate to a story about a small town, and the pressure that comes with growing up in it. And themes the movie explores are about family drama, love, vengeance and bravery, relate to everyone easily. If you enjoy melancholic low budget indie films with strong performances, then I highly recommend this one.